A website has now become the virtual face of any business. It is the best way to reach out to people and successfully build a steady stream of new customers. Thus, it is very important to choose a wise domain name for your website and even more importantly registering a domain name. Let us learn how to register a domain name and complete the inherent process today for running a successful online and offline business. 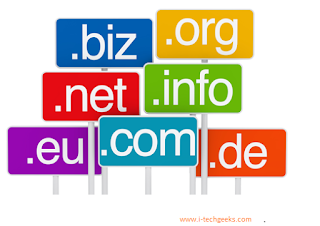 In this article, we shall talk mainly about how to register a domain name. Once it is decided to create a website for your business, the first thing to do is register a domain name. Now, a domain name can be same as your business name or it can be something different. This domain name will be how your website will be known to your customers. For example, ‘www.yourwebsitename.com’. The next step is to find out if the domain name is available or already in use by somebody else. It is very easy to find this out, or else you can go in for a paid domain name. Let us go into the details of registering a domain name. Domain name will become the face of your business. The minute someone say Amazon, you imagine an online store where you can purchase anything and everything possible. eBay brings to your mind a profitable deal on New, Used, or Refurbished goods. Similarly, you need to choose a domain name that represents your business, service, store, or website in a clear way. A domain name can be bought from a domain name registrar. This is easier as you can find the domain names that are available. You could either try GoDadddy or Namecheap or Google Domains to purchase a domain name. Make sure you name is catchy and gets easily noticed by potential visitors. You could try carrying out some SEO as well to find a good name for your website. It is not necessary that you go in for just ‘.com’ suffix. If you are an educational institute you could try using ‘.edu’ suffic or go in for a country specific suffix such as ‘.in’ or ‘.uk’. Other available top-level domain (TDL) includes .game, .net, .org, .hiphop, etc. Once you have your website domain name in place and have chosen the appropriate TDL, it is time to choose a registrar to host your domain. You could choose GoDaddy.com or any similar registrar and type in your chosen domain name. Certain registrars offer you free domain names for a year or so and then charge you heavily on it. A few such as Cloudways require you to purchase a domain name elsewhere and then they register it. Many registrars offer you different registration duration plans. This includes an annual plan, three years, five years, or even for ten years. Make sure you choose wisely especially if you are going in for plans for more than a year. Read the offer policies carefully. Find out their policy related to transferring your domain name to another registrar, in case you don’t like the current service. Read about their policies in case the company goes out of business, leaving your domain name without a host. People often think once they pay for a domain name, it becomes theirs forever. However, this may not be case always as the registrars have clauses in their contract that can affect your domain name in many ways. Some registrars have the right to revoke your domain name in case it breaks or flaunts certain company rules. This includes use of domain name for illegal purposes, spamming or other unacceptable purposes. In some cases, the registrar has the right to delete your domain name at their discretion, without any specific reason. In such cases, the domain name belongs to the registrar and not to your business. Also, almost all registrars have included the clause that gives them the right to make changes in the registration agreement as when they deem fit. Thus, read every line carefully before you sign any contract related to domain name. Once the domain name is registered and paid for, you may have to wait for several hours or days before your site is up and running. This is because of the backend process that occurs without your involvement. Once you site is up and in case you are unhappy with the registration service or find a better deal, you can transfer your domain name to another registration service. Most of the domains hosting services offer transfer of domain name for free. However, in case you need to pay for it, make sure you do not pay more than what you paid for a new domain name. This is how to register a domain name to get your website up and running. Go through all the available options before you choose the best domain hosting service according to your needs and budget. Effortlessly, the article is really the best subject on this registry related issue.